Many of us have a great deal to be thankful for but, often, human nature pushes us to look instead at what we feel may be lacking in our lives! Today we remember the tragic events of 9/11/2001 as we honor those that perished either as innocents who merely went to work that day, or as First Responders rushing in to save lives as others were fleeing the horror. While we remember those who perished September 11, 2001 in New York, at the Pentagon and in a Shanksville, Pa. field along with the many who were physically or emotionally changed forever by events of that day, we also need to remember and thank those who have served and continue to serve the United States since that day in our armed forces. Men and women working tirelessly to protect the nation from an event like 9/11 ever happening again! In the continued war on terror, some of these American heroes have made the ultimate sacrifice, others have received serious physical wounds while others have injuries that cannot be seen by the naked eye but are no less debilitating! 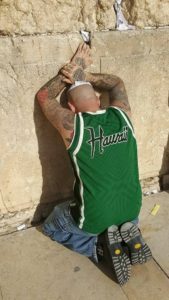 HTH achieves our phenomenal results by sending groups of 12-14 veterans to Israel. There they visit the holiest sites of all major religions and travel with 3 IDF soldiers who fully understand depression, PTSD and moral injury. At some point during the journey a reconnection with their faith will typically be achieved and, as a result, all of the 200+ veterans who have come through our program are with us and in various stages of healing. Watch a short video overview of the Heroes To Heroes Foundation here. WPIX Channel 11/NY video of Harrison’s story here. 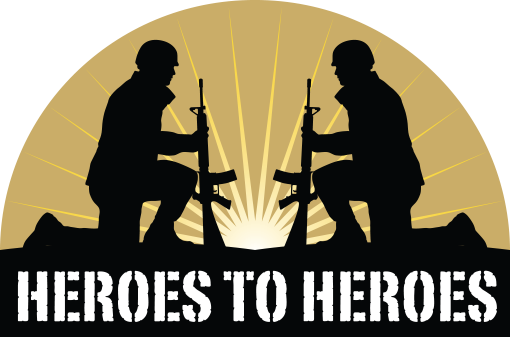 Read Heroes To Heroes Founder Judy Schaffer’s story about why HTH came to be here. Hallmark Abstract Service President Michael Haltman is proud to serve as Board Chair for this very important organization. Contact Michael Haltman at the information below to learn about how you can become involved with the Heroes To Heroes Foundation mission!